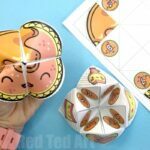 We love fortune tellers or Cootie Catchers – they are such a fun “childhood” classic Origami for Kids project! 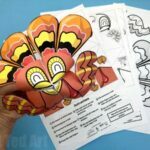 Of course, there is nothing better than designing your own cootie catcher and writing your own questions.. but once in a while my kids adore the Printable Cootie Catchers too – nothing like a Free Printable for Kids!! 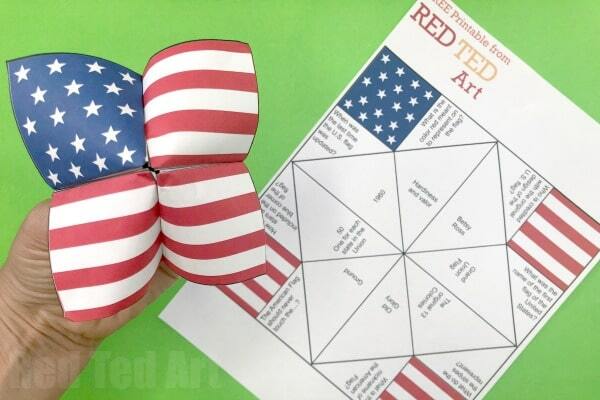 Like today’s American Flag Cootie Catcher Printable – there are two versions – one for you to print and write your own questions and one with a ready made American Falg Trivia Quiz. We have added a list of American Flag Trivia Questions below – that you can print and the kids can use to pick their own questions. 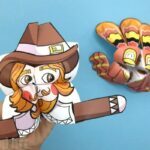 Part of our American Flag Craft for Kids series. 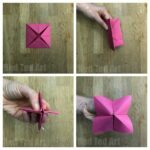 Do watch our how to make a cootie catcher video or follow the step by step instructions LINKED below! 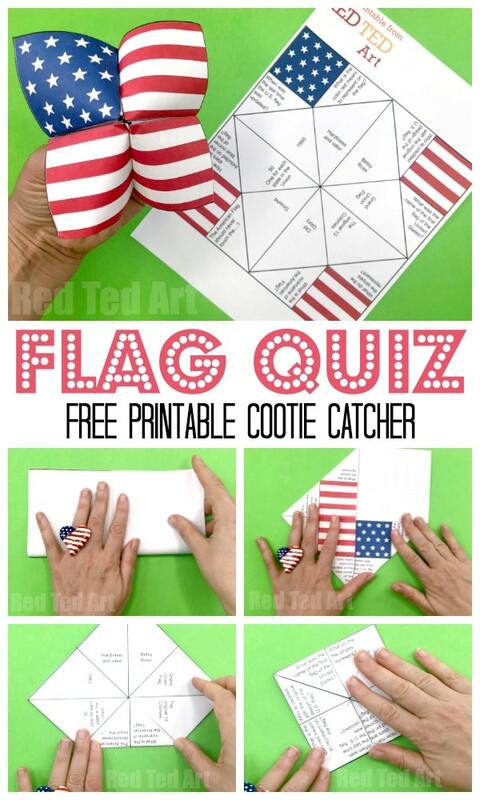 If you like you can also read our how to make a cootie catcher step by step instructions here. 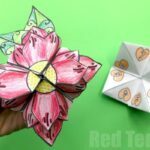 Want more Paper Fortune Teller Ideas? 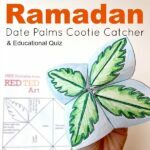 Looking for Cootie Catcher Templates? How to make a Pig Cootie Catcher Puppet (no template, quick and easy to make) COMING SOON! 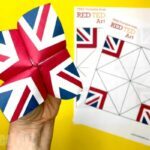 How to make an Origami Bookmark for Flag Day? Again.. yes, thank you for asking!!! 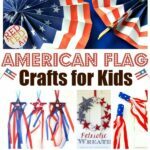 As you know we Origami Corner Bookmark and yes.. have a great American Flag Corner Bookmark for you too – quick and easy and looks great! How many stars are included on the blue field in the left-hand corner of the flag? When was the last time the U.S. flag was updated? How many times has the American flag been changed? What was the name of the first American flag? What is the nickname of the American Flag? Who sewed the first American Flag? The American Flag must never touch….? When the flag is in such condition that it is no longer fit to display, what is the preferable way to dispose of it? What is the color red meant to represent on the flag? What is the colour of the FIRST Stripe? How many stripes are there? How many red stripes are there? How many white stripes are there? What do the stripes on the American Flag represent? When should the flag be displayed? What does the color white on the flag mean? Enjoy!!! We have a Union Jack too if that is of interest! You are just amazing! Where you finding all this fantastic ideas! We with my wife try to limit times that our kids spends with gadgets and if we don’t know how occupy to distract them from inet, then I go to your site where I always find something new! Thank! Very cool! Could you make one for Constitution Week also? What would that look like? Also a US flag but with different questions?